Asia is a powerhouse in both the production and consumption of seafood. Asia is home to 84% of the world’s fishers and fish farmers, and over 70% of the world’s fish and fishery products are consumed here. Yet demand within Asia for certified seafood lags behind rates in other regions, such as Europe and North America. This suggests an unevenly developed certification landscape, but one with vast potential if it can gain popularity in Asia. In a new paper in Marine Policy, Nereus Program Fellow Robert Blasiak (Stockholm Resilience Centre) traces the origins of fisheries certification schemes, relevant developments, and remaining challenges from an Asian perspective. 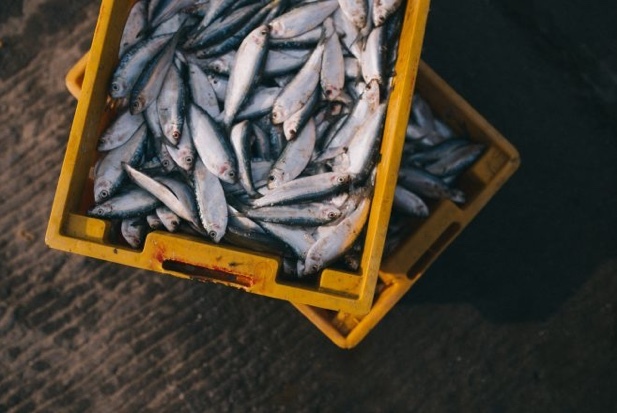 Due to uncertainties about the status of many fish stocks, there has been rising interest in reliable schemes for certifying sustainable seafood and aquaculture products. Despite rising demands for certification schemes, many challenges prevail. For instance, the amount of certification schemes has generated confusion among consumers and retailers. Certification can also be expensive and may be out-of-reach or impractical for some small-scale fisheries, especially in the developing world. Asian countries specifically have faced particular challenges with regard to seafood certification, underscoring the need for certification schemes that account for regional and local conditions and management practices, particularly with regard to small-scale fisheries. This report provides a history briefing on fishery certifications, a summary of symposium presentations that focused on increasing diversity and stringency within seafood certification schemes, and highlights the barriers and opportunities of seafood ecolabelling in Asia. It has been concluded that there is a need to expand research efforts across Asia to track, among other things, shifts in consumer behaviour and the continuing evolution of the fishery certification landscape. Building on the inputs by a range of experts who participated in the February 2017 international symposium on “Designing the Future for Fisheries Certification Schemes” at the University of Tokyo, this manuscript traces the origins of fisheries certification schemes, relevant developments, and remaining challenges from an Asian perspective. Over the past 20 years, seafood certification has emerged as a powerful tool for meeting growing demands for sustainable fisheries and aquaculture products. Despite broad consensus among countries regarding what constitute responsible fishing practices, the fisheries certification landscape remains uneven. A plethora of certification schemes has generated confusion among consumers and retailers, and capital-intensive certification schemes may be out-of-reach or impractical for some small-scale fisheries, particularly within the developing world. A recent initiative by the Global Sustainable Seafood Initiative (GSSI) is aiming to address the diversity within the certification landscape by creating a tool to benchmark certification schemes that are in line with the FAO Code of Conduct for Responsible Fisheries and other relevant agreed FAO guidelines on fisheries, ecolabelling and aquaculture. Countries in Asia are among the world’s top consumers and exporters of seafood, yet have faced some particular challenges with regard to seafood certification, underscoring the need for certification schemes that account for regional and local conditions and management practices, particularly with regard to small-scale fisheries.